Dental anxiety or phobia is a common condition that affects many people for a variety of reasons. However, avoiding the dentist due to fear can lead to serious, long-term issues which could lead to many problems such as tooth decay and even tooth loss. However, with help from your dentist and sedation dentistry, you can receive the dental work you need and feel comfortable during the process. If you live in Scottsdale, AZ, Dr. Terry Work and Dr. Mary Ann Work at Dental Works are expert practitioners in the field and can help you out today. Read below to learn more about sedation dentistry. These conditions may be mild to moderate and can happen to anyone. Often, people with dental anxiety experience a sense of dread when thinking about a dental appointment or procedure. However, dental phobia is more intense, producing a serious but irrational fear of the dentist. Sedation dentistry can help those with dental anxiety or phobia by helping them relax in the dental chair. 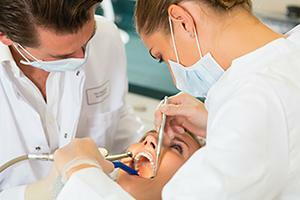 Sedation has proven to be a truly valuable tool for people scared to undergo dental procedures as it allows them to receive the care they require and see their dentist more often for routine examinations and cleanings. Oral Sedation: Oral sedatives help patients relax and feel at ease prior to their dental visit. This form of sedation does not cause patients to fall asleep, but may cause them to forget most or all of their visit. Inhalation Conscious Sedation: Nitrous oxide is an inhaled gas which has been used by dentists for years. Patients breathe in the gas, which helps them feel relaxed and at ease during their appointment. Patients will experience a euphoric, relaxed feeling without any aftereffects once the gas wears off. IV Conscious Sedation: This type of sedation enters the bloodstream through an IV and is quite potent. The effect is almost immediate and closely monitored by your doctor. If you think you could benefit from sedation dentistry, you should consult with your dentist to ensure that this is the best option for you. For more information on sedation dentistry, please contact Dr. Terry Work and Dr. Mary Ann Work at Dental Works in Scottsdale, AZ. Call (480) 391-0099 to schedule your appointment today!